Every successful person whether that be an artist, sports person or leader has set goals which have driven and directed their efforts in their quest to be the best they can be. Goal setting is an extremely powerful technique for enhancing performance so it is one of the most important strategies you can implement for success in any environment. Goal setting helps to focus attention and it is critical tomaintain and enhance motivation. Goal setting gives direction both in the short term and the long term and you can see success as you achieve your short term goals. This increases yourconfidence as you are being success and achieving. So if you don’t set goals you must start today. However goal setting must be implemented correctly. 1. Goals direct attention to tasks at hand and highlights what needs to be completed. It allows you to implement strategies to develop specific elements of the business that need to be utilise to complete the goal. 2. Goals mobilise your efforts. You will put your efforts into moving towards the goal as you are provided with the incentive of completing the goal. 3. Goals prolong your persistence because you are rewarded with incentives as you achieve your goals. People who set goals stick at tasks for longer as they are achieving smaller goals that combined form larger goals. 4. Goals foster the development of new learning strategies. In order achieve the goals you may need to develop new strategies to complete the task at hand. There are 3 types of goal that a team leader needs to be aware of. 1. Outcome– This is the end result. For example getting the order ready for dispatch by designated time. 2. Process – This is the actions needed to execute the goal correctly. 3. Performance – These are the standards independent of other variables. How do the types of goals fit together? If you follow these key principles you can give yourself a powerful tool to use to drive success. Specific– To really focus your attention make your goals specific. Specific to you and specific to the goal and avoid vague and broad goals like ‘I want the team to be the best’. Being specific makes your goals objective which gives you something to aim for and aspire to. Give yourself a completion date, a deadline to complete the goal by and a specific number of words to read from the end of year report. Realistic and Challenging – Goals should be difficult enough to be challenge but not so difficult they become unrealistic. This provides you with a challenge. ‘Ink it, don’t think it’ – Make sure you write your goals down. This cannot be underestimated. The action of doing this reinforces your intent to complete the goal. It becomes a sort of contract that you feel obliged and committed to complete it. Write them do and put the goals on the wall. Again every time you see them you further reinforce your commitment to the goal. Also by writing them down you will not forget any goal and you get the satisfaction of ticking or crossing them off you have achieved them. Recording them also allows you to chart your progress towards your long term goals and evaluate them. Writing your goals down also allows you to constantly re-evaluate your goals. Do you need to re-assess and modify your goals? Process, Performance and Outcome– We have seen the different types of goal and how they fit together. If you set primarily process and performance goals then you have done all you can within your control to achieve the outcome goal. Doing this more times than not the outcome takes care of itself. Using this equation also harbours the right environment. Consider the goal after the goal– What this means is that you need to be aware of the next step. Nothing stands still. By being aware of the next goal you are automatically bring the goal closer to completion as you are thinking of the next one. A great example of this is students progressing to university from college. Their goal is to get to university and they don’t have a goal after this so they lose focus and attention and as a result drop out at the end of the first year. *Taken from Weinberg and Gould (2003) 3rd Edition. 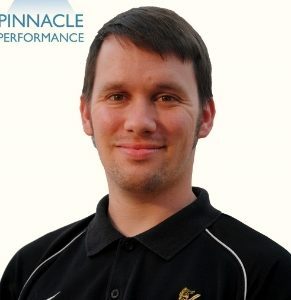 Head of Psychology for Doncaster Rovers FC Academy | Author of the Journey (http://bit.ly/1PId32S) a self published book on success, winning and increased performance based on extensive experience of performance psychology in elite sport, business and education. HE sport lecturer.